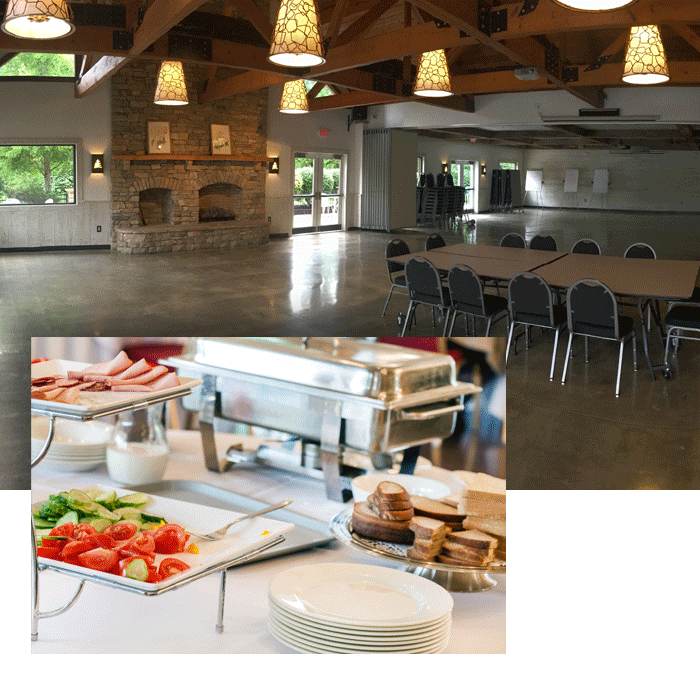 Combine country-style, authentic mountain cooking with recipes that have been perfected over our 20 year history, a beautiful, newly remodeled meeting space that can be divided and expanded to fit your size party and you have the makings of a very special event. Perfect for weddings, meetings, showers and more, Pine Mountain Grill & Gifts is the location in Whitesburg and surrounding communities where memories are made. Contact our Pine Mountain Grill & Gifts wedding and meeting planner to set up your next event. And if you have a special food request, be sure and ask, as our expert cooks can make nearly anything! If you’re planning your wedding, this is the perfect space for a memorable, elegant and special day. With a wide range of foods, great service and nearly endless decoration options, let Pine Mountain Grill & Gift take care of you and your guests on your special day! Contact us here and let us know what days you’re looking for and how many guests you are planning to invite and our wedding and planning manager will get right back to you!